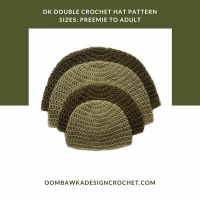 Oombawka Design Crochet is a great place to visit for Free Crochet Hat Patterns for Beginners. 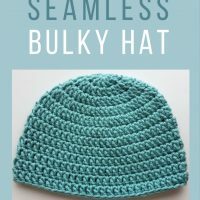 I thought I would create a roundup of easy crochet hat patterns that you can confidently crochet as a Beginner Crocheter. This way you will be able to find them all in one central post. Feel free to PIN this post for later to find it more easily! If you have questions about any of my hat patterns, or techniques that I use in them, feel free to send send me a comment on the hat pattern post so I can help you as quickly as I can. 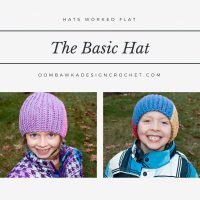 The Basic Hat Pattern. Crochet Hats Worked Flat. Free Crochet Pattern. 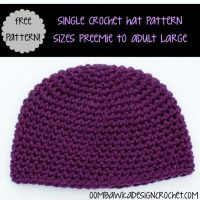 This easy to crochet beanie is a free crochet pattern and it is available in multiples sizes from baby to adult. This beginner half double crochet beanie is crocheted with worsted weight yarn and a 5.50 mm crochet hook. This pattern is available in sizes from baby to adult. 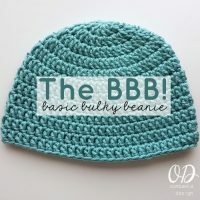 This easy to crochet single crochet beanie is a free crochet pattern and it is available in multiples sizes from baby to adult. 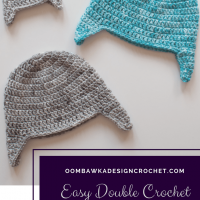 This is a easy-to-follow double crochet beanie pattern and it is available in 2 lengths. A full range of sizes have been included, from baby to adult. 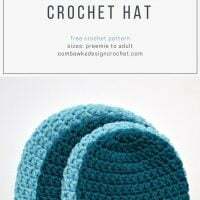 Available in 11 sizes from preemie to adult large and crocheted using your basic medium weight yarn - you can take this pattern and make your hats easily and affordably as gifts and to donate to your favorite charities. 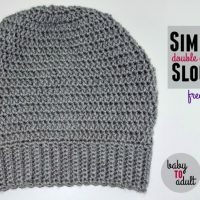 This simple double crochet slouch hat pattern is available in multiple sizes from baby to adult. This hat is worked from the bottom up and shaped to fit the head before closing. 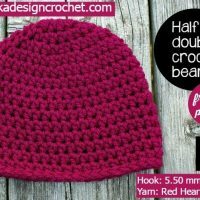 This simple double crochet slouch hat pattern is worked from the bottom band to the top of the hat all in one piece. It is available in multiple sizes from baby to adult. 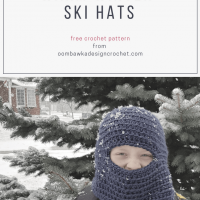 The Warm Winter Ski Hat pattern is worked in rounds in one piece. The mask is warm and perfect for keeping your face and neck covered and out of the frosty, cold air. This pattern is beginner friendly. 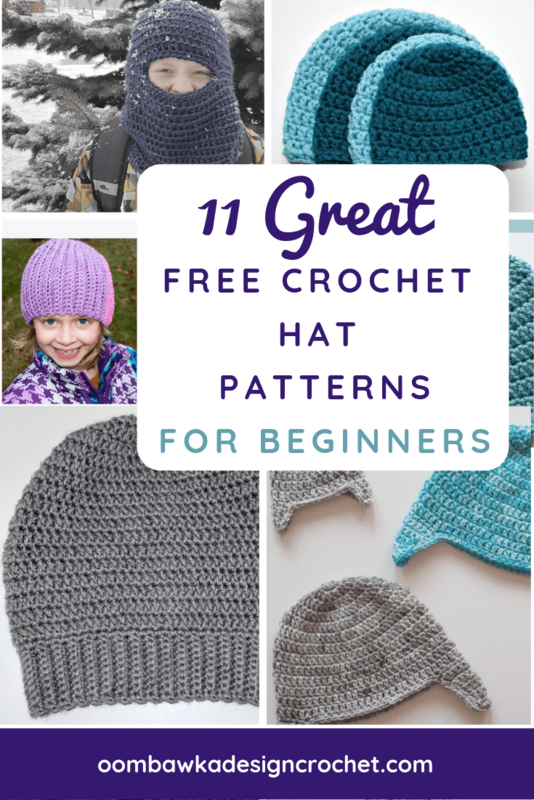 The pattern includes sizes preemie to adult large AND two lengths to allow you to choose if you want a hat to reach the base of your earlobes, or only to mid ear. These hats will make perfect chemo hats and preemie caps. The yarn used is super soft and warm. Basic Hat Pattern. Hats Worked Flat. 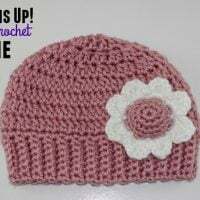 This pattern includes a video tutorial showing you how to work the hat flat. The technique is very simple once you see it demonstrated and it allows you to make a fitted hat using medium weight yarn, in rows.